Residents on Cleveland's west side are fed up with illegal dumping in their neighborhoods, and they say the city needs to do more to solve the growing issue. Some residents like Sergio Gonzalez have even purchased video surveillance equipment and have resorted to tracking down suspects themselves. Gonzalez showed newsnet5.com video of a white pickup truck dumping a large load of debris on Hyde Court behind his home. 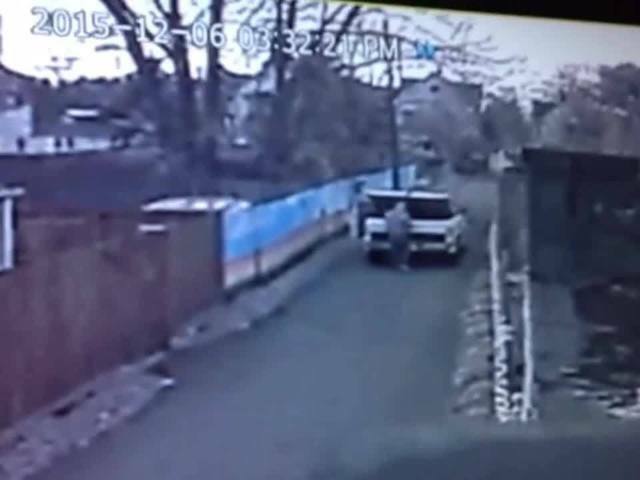 He said the next day he spotted the truck, gave chase and confronted the driver. "He was in shock, he was shocked," said Gonzalez. "Right away he said that it wasn't him. I said, 'I'm not saying it was you, but this vehicle was in the alley.' "
"The illegal dumping is constant. It's a big problem and the city needs to take action." Gonzalez and neighborhood block watch member Rebecca Kempton report the Cleveland Ridge Road transfer station plays a role in magnifying the illegal dumping issue. Kempton told newsnet5.com the rules and regulations at the transfer station are too stringent, and when contractors are turned away, they are more apt to just dump their loads in nearby neighborhoods. Kempton believes the standards at the transfer station need to be relaxed just a bit. "I do understand the rules are there for a reason, but if somebody has a whole pick-up truck full of debris from a job that they've done, and they're turned away for 5 pounds, there's going to be hundred of dollars spent on cleaning it up," said Kempton. Kempton applauded the relatively new Cleveland police dumping task force, but she said just two officers for the entire city isn't nearly enough. Kempton said it's critical residents get involved. "Be actively engaged, and be aware of what's happening around you, and be willing to step up and fight it," Kempton said. newsnet5.com contacted the Cleveland's Mayor's office and we were told the issue over regulations at the Ridge Road transfer station would be discussed with Public Works Director Michael Cox. 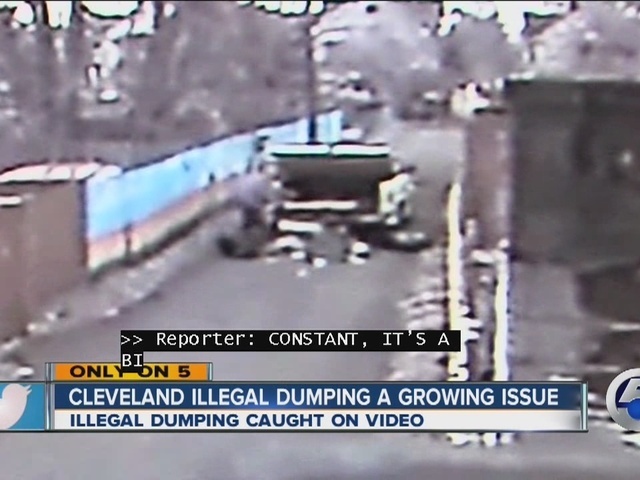 Residents are urged to contact Cleveland's Dumping hotline at 216-664-DUMP (3867).